First some of kite recent pictures really blew up on socials media. Her candies koppurkul got +2000 on twitter, her pukey pukey is 2500 on reddit. It nice to see. 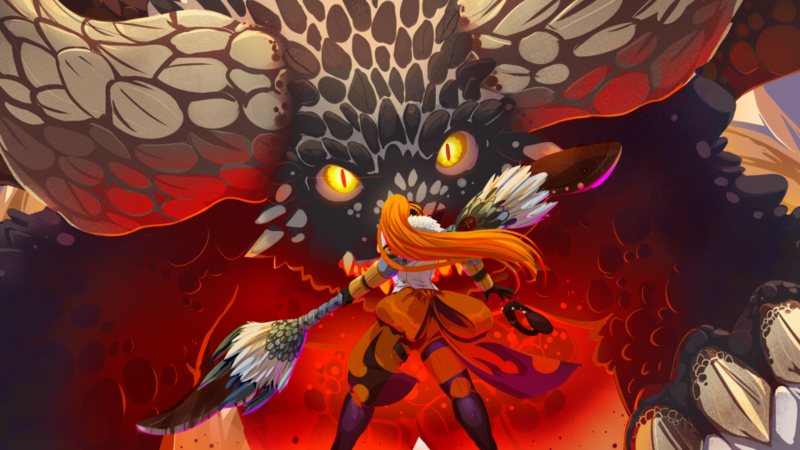 And i’ve done another monster hunter pic, or more like finished one from last week. A painted Kiel vs nergigante that’s already setup for animation.My goal is to apply said animation to a music friday night and see if it work out. Work great? then okay saturday art jam i do something more complicated with the love bot. Fail? Then i guess i need to downscale my expectation and make this my artjam of saturday. 1 out of 4 buffer page done, yup, getting late there is only 3 work days left. Nergigante: Your princeling is in another castle!